I don’t know about your area of the country, but here it seems that meat has been insanely expensive for months. It’s always been more expensive here in St. Louis than in Nashville, but nowadays it’s a treat to find anything for less than $4/pound. We’re talking chicken, pork, basic ground beef regularly going for $6/pound. And while Mr. P and I don’t live paycheck to paycheck by any means, it’s still wise to keep our grocery bill as low as possible. So: more vegetarian meals for us! And fortunately, the produce section has had nice, reasonable prices lately. The more we can fill up on that – and avoid the middle aisles of cheap but super-processed food – the better. 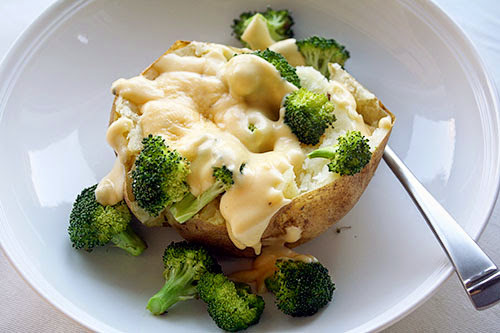 And that’s why dressed-up baked potatoes are looking like an excellent meal nowadays! Adding broccoli makes them a bit healthier, and adding a sauce made with not-super-expensive cheese makes it tastier (and cancels out all the supposed health benefits of broccoli, but whatever). 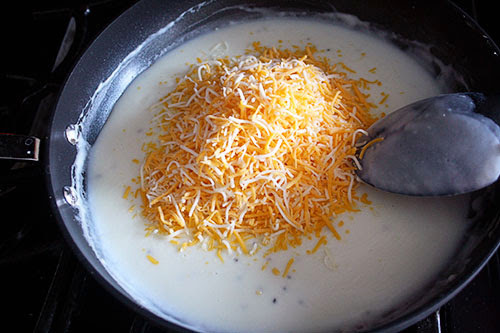 There’s tons of cheese sauce recipes out there, and honestly, I don’t really follow any of them exactly, each and every time. 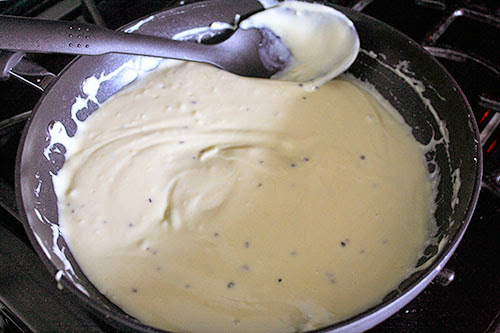 Cheese sauce is pretty easy: make a roux, add milk and cheese, and season it. The end! But if you prefer a written recipe from actual food bloggers, this one, this one, and this one are all basically the same thing. Or see how I do it below! 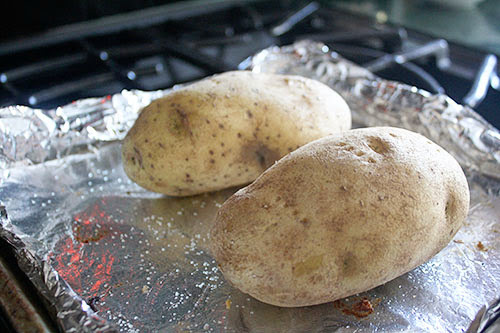 To start: prep your potatoes for baking. I microwave mine for four minutes first (after pricking with a fork, of course), then throw them in the oven at 400 degrees until everything else is ready to go. Total time in oven usually ends up being another 20-25 minutes. 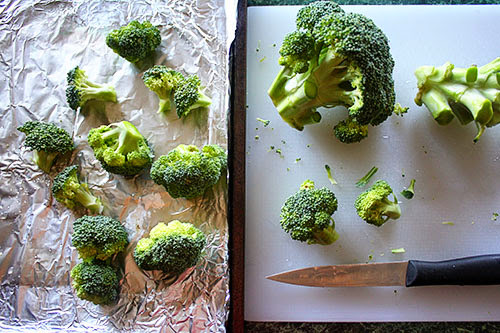 Prep your broccoli for roasting, too. I showed you how I roast broccoli right here! Super easy. You can throw them in the oven with the potatoes to let them roast for the last 10-12 minutes. And finally: the cheese sauce. 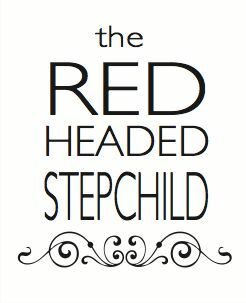 You get healthy-family points for making it yourself!... even if it does start off with butter. 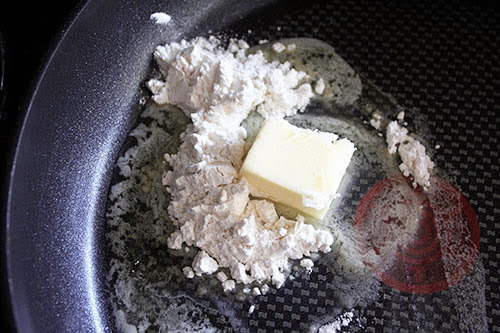 Whisk together two tablespoons of God’s gold with two tablespoons of flour over medium heat to make a roux. 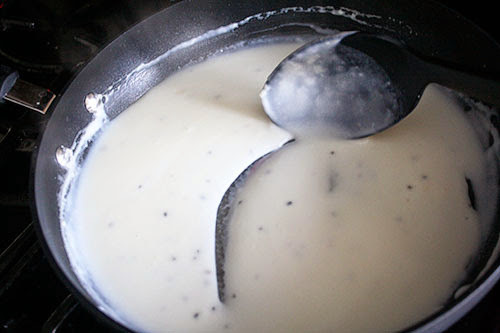 Add some salt and pepper, then sloooowly add a cup of milk, stirring after each addition. No lumps! 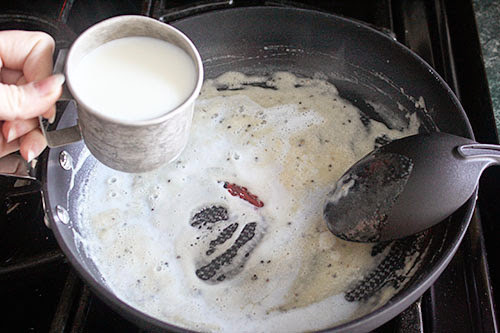 Turn the heat up to medium and stir constantly until it thickens, which takes about five minutes. Turn off the heat and add the CHEESE. A cup to a cup and a half, depending on how cheesy you like it! Honestly... I just throw it in by the handfuls. I used pre-shredded Colby Jack, but I’ve seen advice to steer clear of pre-shredded because the cellulose coating prevents the cheese from completely incorporating in the sauce. But really, given the time it takes to shred the cheese, pre-shredded cheese makes a sauce that’s pretty dang smooth, in my opinion. By now those potatoes should be baked (if you pre-microwaved) and that broccoli should be roasted. Pile ‘em all together! I find the cheese sauce provides enough buttery and salty flavor for the otherwise-bland potato, but you could of course add extra butter, sour cream, or... heaven help us... some dang expensive bacon. And, should you find you have leftovers: I can personally vouch that this sauce is pretty freaking amazing over eggs the next morning. Enjoy!